Enhabit were contacted in May by a client living in central London who was concerned about the levels of vehicle exhaust pollution coming into their property. The client’s house is located in central London and next to one of the capital city’s busiest main roads. Although a Mechanical Ventilation with Heat Recovery (MVHR) system was already installed in the property, the internal filters are only able to filter out pollen, dust, spores and smoke, so it isn’t able to filter out the NOx – Nitric Oxide (NO) and Nitrogen Dioxide (NO2) – air pollutants which are produced by heavy diesel fumes and can have a serious impact on our health and wellbeing. Enhabit’s MVHR design team conducted an initial site visit to assess where in the ceiling void the NOx filter could be installed on the supply side of the system ducting. The team designed the integration of the NOx filter and calculated for the additional pressure drop/resistance. Working with the main contractor, the MVHR team installed Zehnder’s new NOx Filter in less than a day and with the minimum of disruption. The MVHR system was re-commissioned to ensure that adequate air flow rates continue to be delivered to every part of the house. 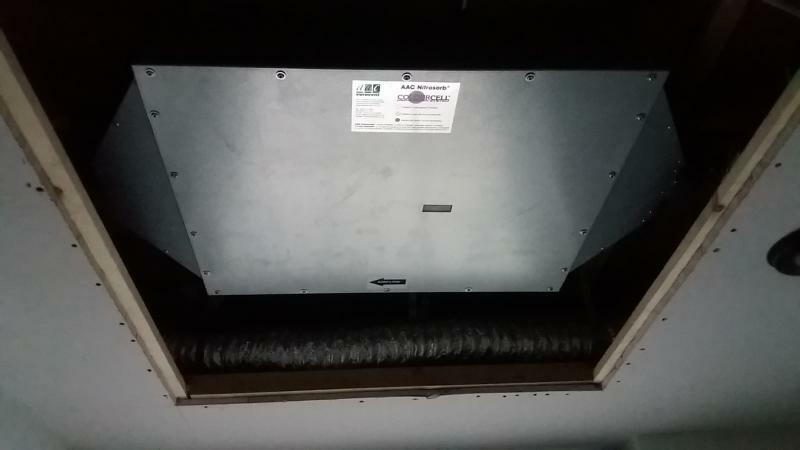 The client is going to monitor the internal air quality of the system and let us know in the coming months how the new filtration system is performing. What can an MVHR system actually filter? Leading brands of MVHR filters are fitted with an F7 filter, which is able to filter most common debris and small dust particles such as pollen, spores and bacterium. This will provide significant health benefits – especially to those who suffer from asthma or hay fever. The other main benefit of an MVHR system is the constant removal of humid and stale air, replacing this with fresh filtered air and maintaining CO2 levels in the property at healthy levels. What are the dangers of NOx Pollutants? NOx is a dangerous pollutant that comes from the burning of diesel in vehicles. In a recent report DEFRA has estimated that NO2 pollution causes up to 23,500 premature deaths a year in the UK alone. Rising levels of traffic pollution and the consequent diesel fumes are contributing to the rising number of children with asthma. Up to 3000 schools and many homes, including those planned to be built, are in areas that breach the WHO (World Health Organisation) air pollution limits, so it’s likely that to protect children it will be necessary to build new schools as airtight as possible with a dedicated ventilation system fitted with a NOx filter. 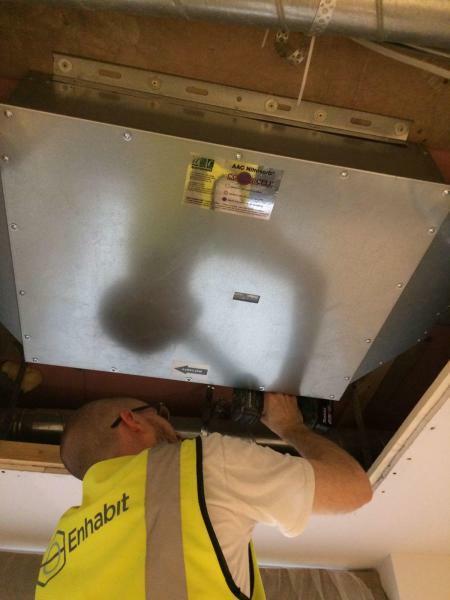 If you’re concerned about the effects of pollution in your home please contact our team at Enhabit and we’ll be happy to provide you with a free no obligation estimate for fitting a ventilation system with heat recovery into your home.